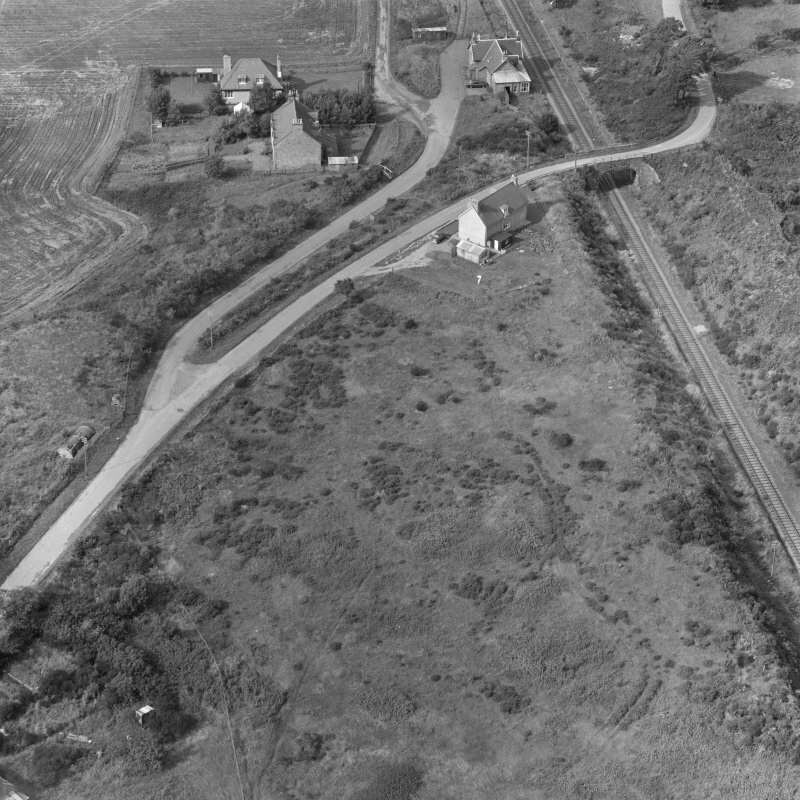 Oblique aerial view of agricultural landscape at Balblair and Edderton Station. Location formerly entered as NH 70782 85421. (Location cited as NH 707 854). 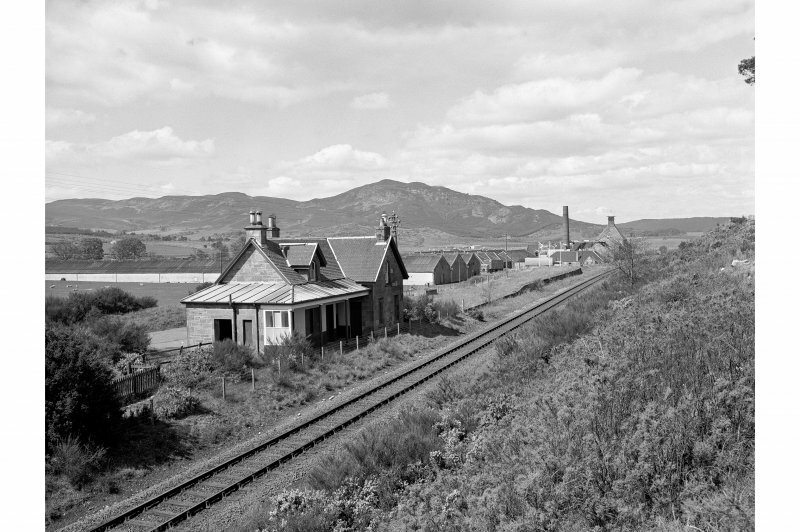 Edderton Station, opened 1864 by the Inverness and Aberdeen Junction Rly. Formerly a two-platform through station, the only surviving part is the down-platform building, a one-storey and attic structure on a T plan, with an awning in the angle of the T and round the end. It resembles the larger stations north of Bonar Bridge. Now a dwelling house. 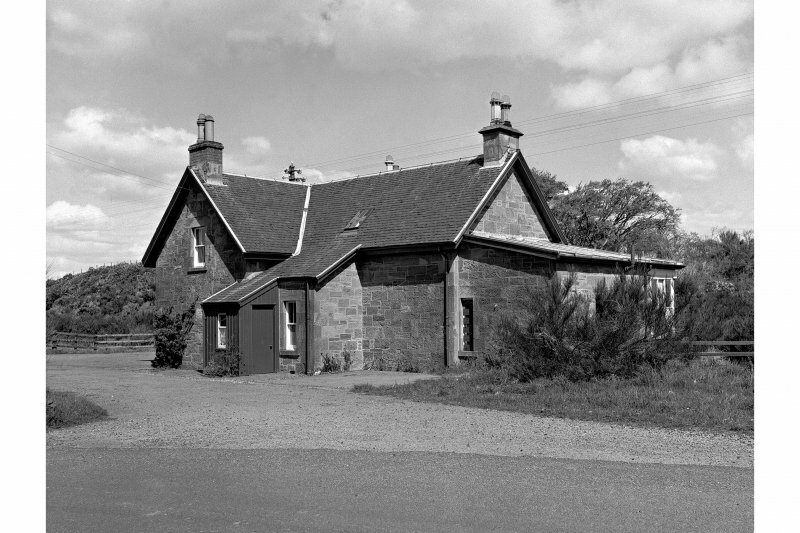 Built in 1864 for the Inverness and Aberdeen Junction Railway, Edderton Station comprises a two-storeyed 'T'-plan station house which was converted to a private dwelling after the closure of the station in 1960. Information from RCAHMS (MKO) 2002. This intermediate station on the Inverness - Wick and Thurso 'Far North' line of the former Highland Rly was opened on 1 October 1864 by the Inverness and Aberdeen Junction Rly. The station closed to regular passenger traffic on 13 June 1960, but the line remains in regular use by passenger traffic. Information from RCAHMS (RJCM), 13 December 2003.